*By signing up to get this free eGuide, you’ll also receive news, updates and the occasional promotional email. 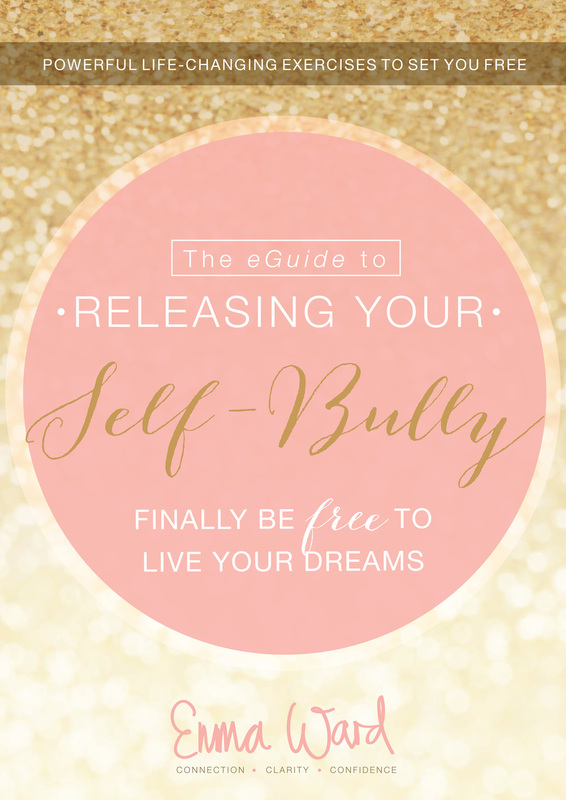 This e-Guide was written for YOU if you are a woman who has BIG dreams but… you are holding yourself back. You ache for more. Much more. You want a life and business that lights you up. You have a negative inner-voice that constantly criticises you. You are frustrated that your life doesn’t look any different from a year ago. How do you release your inner-critic and take the first step to gaining the confidence you crave? 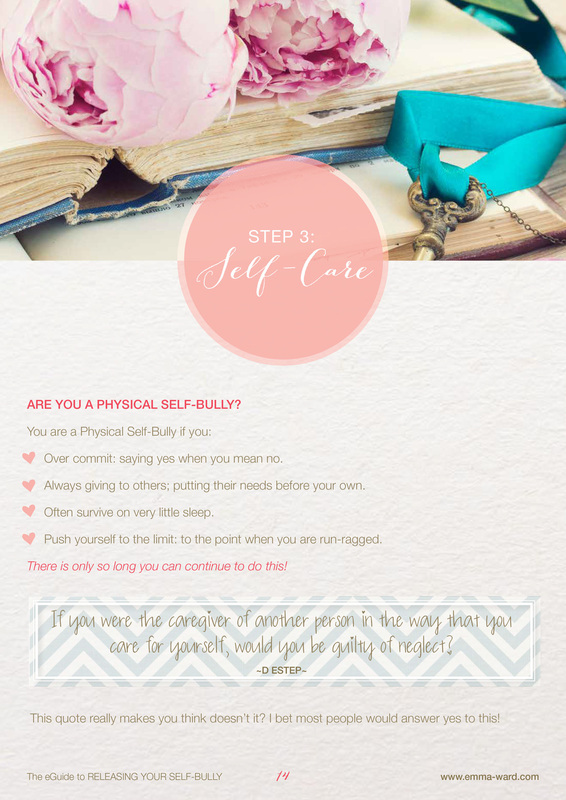 The ‘eGuide to Releasing Your Self-Bully’ walks you through ways to quieten your inner-critic. 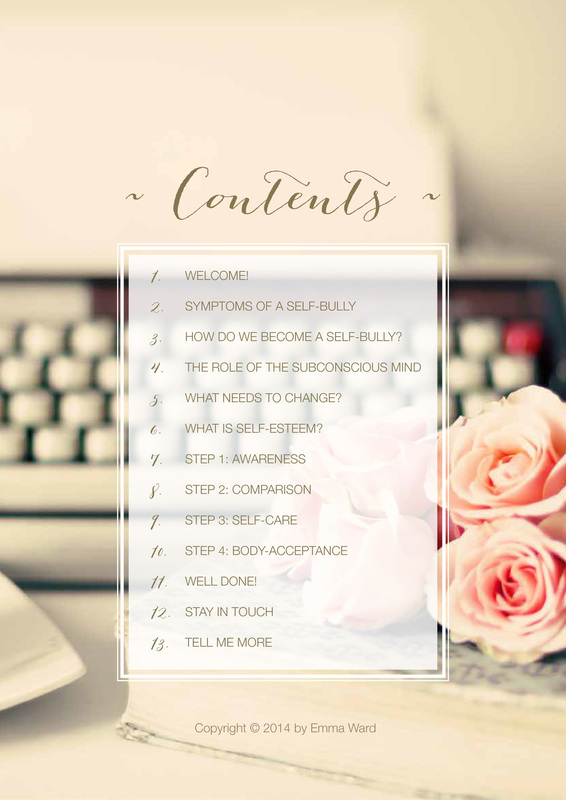 The eGuide details powerful exercises to enable you to take the first step to developing a more loving and encouraging inner-dialogue. After all, when you believe in yourself, you have the courage to go and claim your dreams – you don’t allow anything (let along yourself!) to stand it your way. 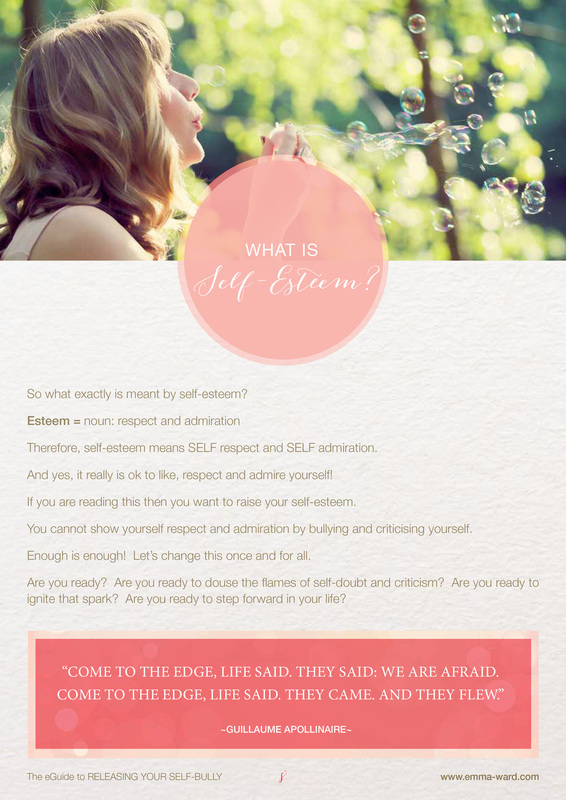 Trust me, if I, a self-proclaimed Self-Bully, can transform my negative self-image, self-doubt and insecurities into the confidence to put myself out there for all the world to see, there is no reason that (with the right support and guidance) you can’t begin your own journey to Self-Confidence too. This eGuide will help guide you on your own way! **By signing up to get this free eGuide, you’ll also receive news, updates and the occasional promotional email.